Club members include fifth- and sixth-graders, along with a third-grader whose father is hearing impaired. 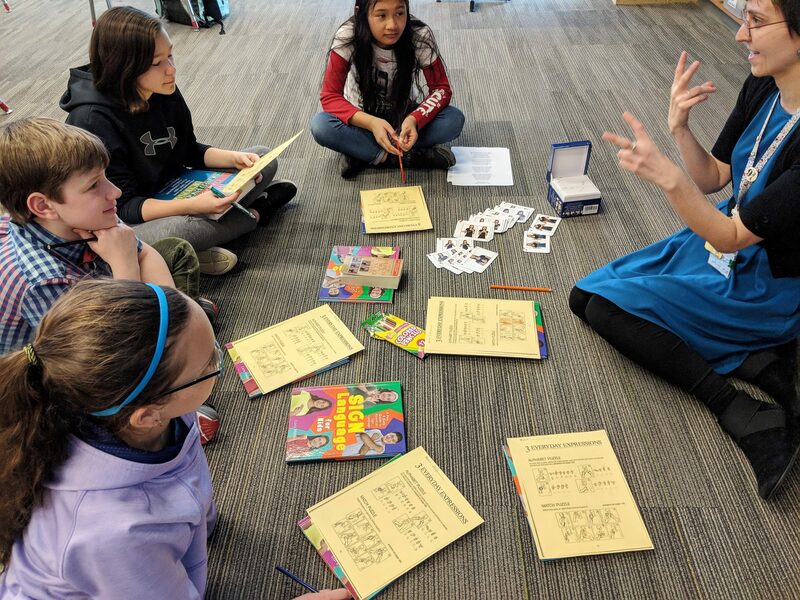 Students use flash cards and sign language textbooks to learn vocabulary, verbs, grammar and expression. Teacher Lorien Gilbert reviews signs with students. 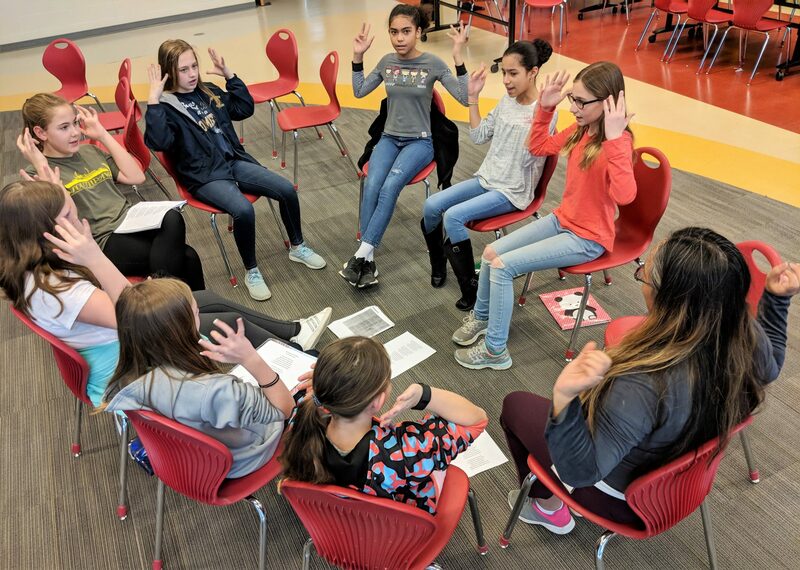 Sign Language Club students practice a song that they signed at an assembly. 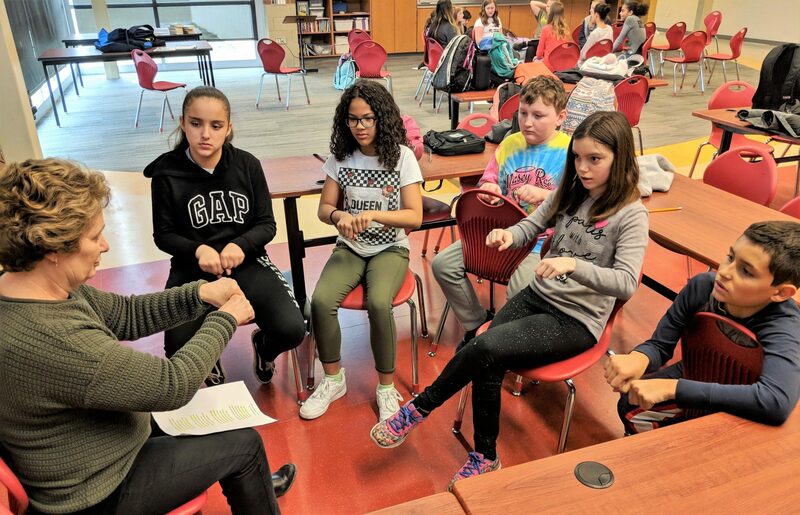 Students practice their sign language with Hambright librarian Tara Etzweiler.